Straightforward in its approach, yet profound in its effect, the principles outlined in this book teach partners new and startling strategies for making marriage work. 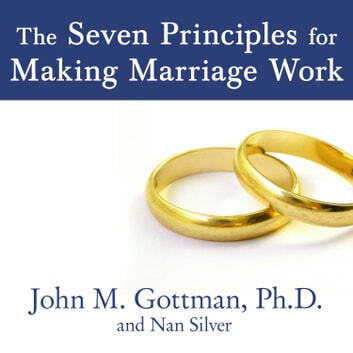 Gottman has scientifically analyzed the habits of married couples and established a method of correcting the behavior that puts thousands of marriages on the rocks. He helps couples to focus on one another and pay attention to the small day-to-day moments that, strung together, make up the heart and soul of any relationship. 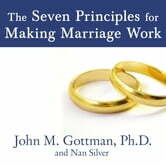 Gottman has culled seven principles essential to the success of any marriage: -Maintain a love map -Foster fondness and admiration -Turn toward instead of away -Accept influence -Solve solvable conflicts -Cope with conflicts you can't resolve -Create shared meaning Packed with questionnaires and exercises whose effectiveness has been proven in Dr. Gottman's workshops, this is the definitive guide for any couple who wants their relationship to realize its highest potential.